When I was in high school, one of my favorite places to eat for dinner was this little pizza place nearby named Joann’s Pizza. 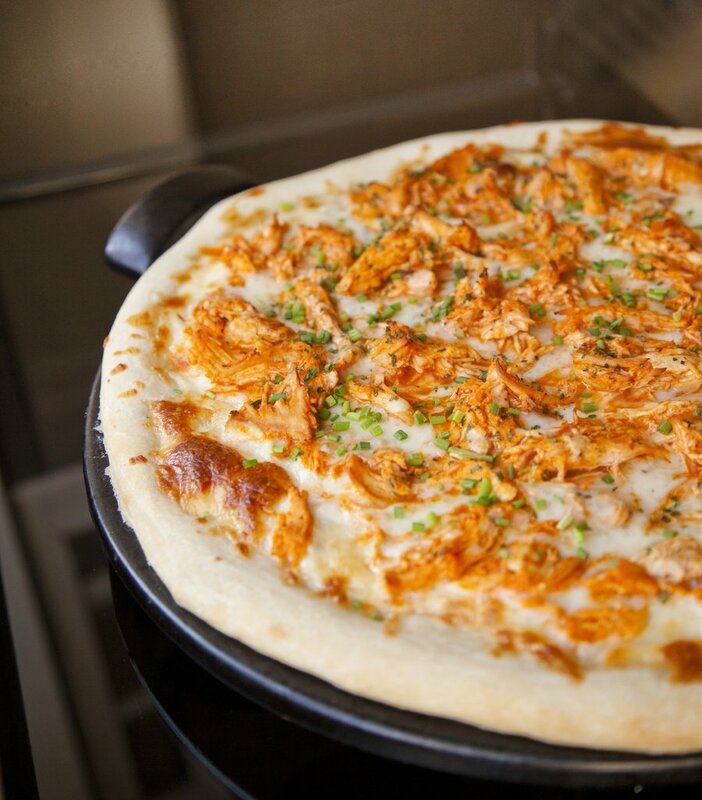 I never ordered a regular slice there, because they always had these amazing toppings on all their slices: BBQ Chicken, Buffalo Chicken, Ziti, etc etc. My favorite was the Buffalo Chicken Slice (my mom couldn’t understand this, being a Sicilian and thinking I was a disgrace to the Italian Pizza Eating world). 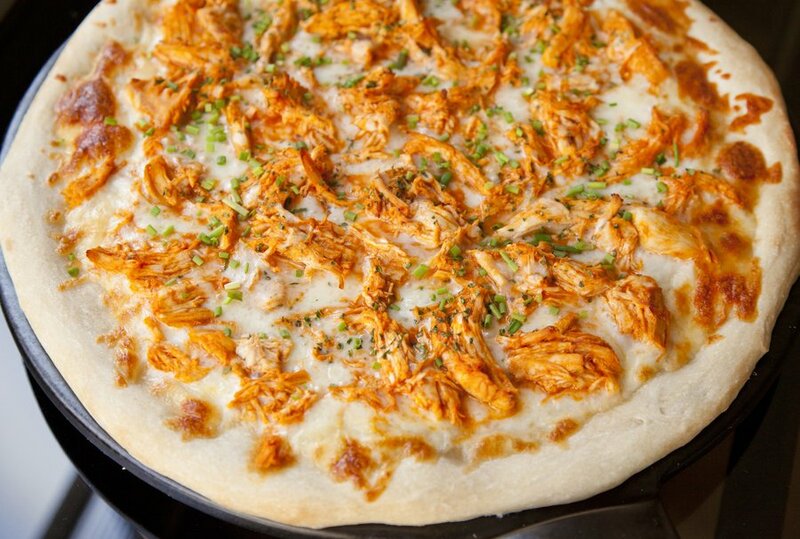 So this past weekend, my husband, out of the blue suggested I make a Buffalo Chicken Pizza and I was immediately brought back to the tastes of Joann’s. 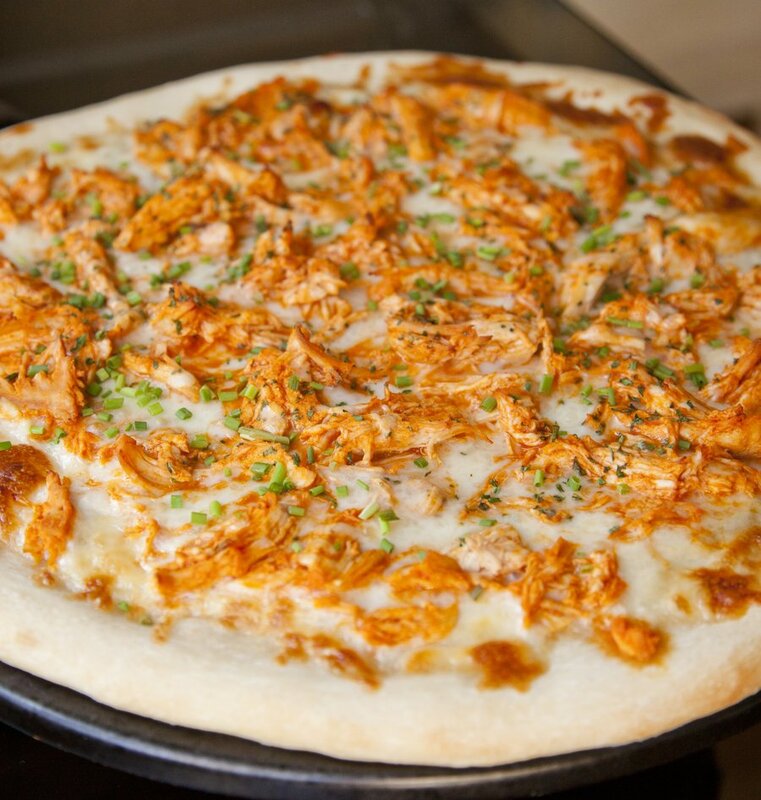 There’s really no great skill in making this recipe….in fact Frank’s Red Hot Buffalo Sauce literally does all the work for you… but it was SO delicious that we had this pizza for 3 days in a row (which means this week is a heavy gym week!). When I am feeling lazy and not much in the mood for making my own pizza dough, my go-to is Trader Joe’s Pizza Dough. One package is the perfect amount to make 1 large (16 inch) pizza - and the recipe is pretty good! Place the chicken breasts in a pot and cover with water. Bring the pot to a boil, and reduce to a gentle simmer. Cook until the chicken has completely cooked through (about 15 minutes). Remove chicken from the water and shred with 2 forks. Place chicken in a bowl and toss with the buffalo sauce. 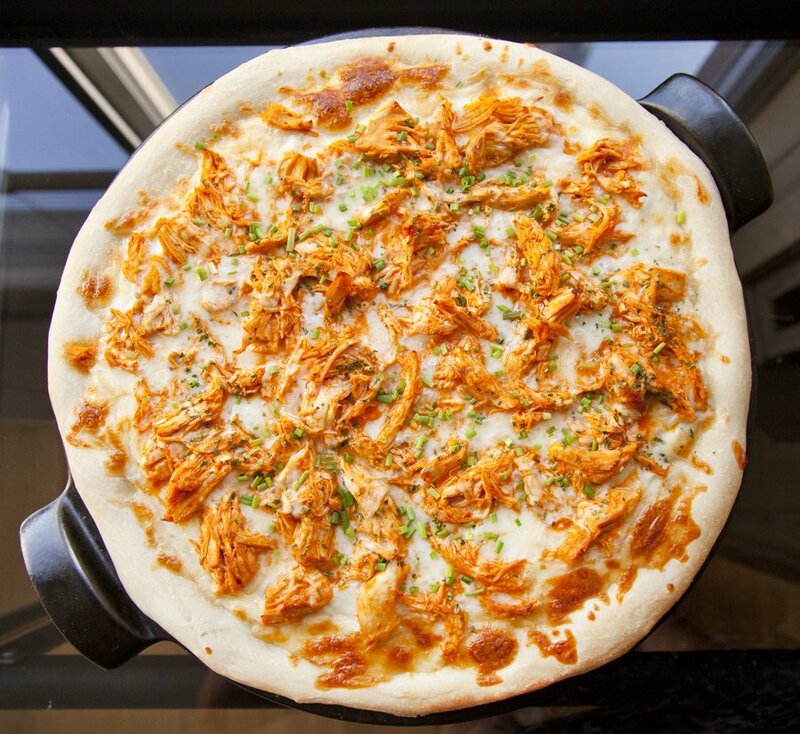 Preheat your oven to 450 degrees with a pizza stone inside. 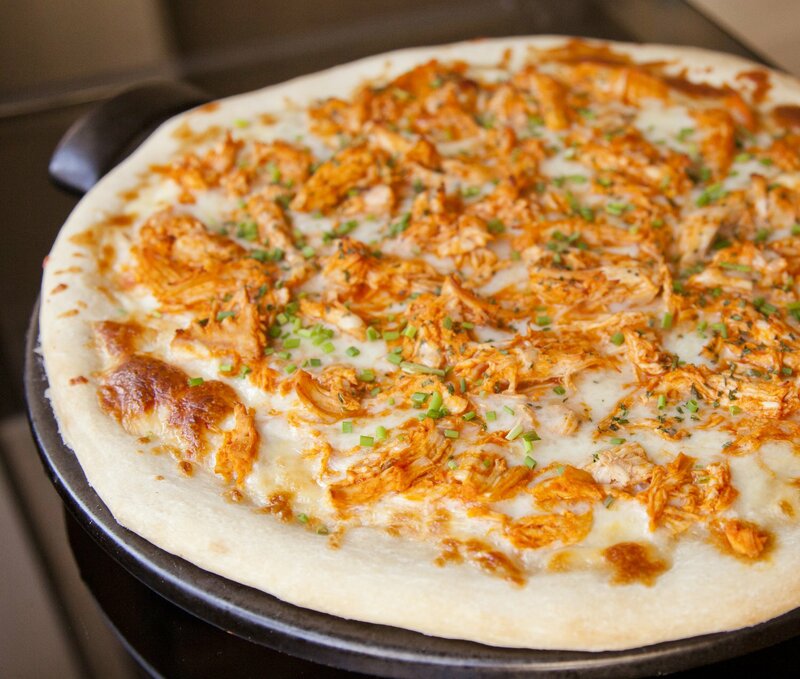 On a non-stick surface, form your pizza dough. Spread most of the mozzarella cheese around the dough evenly. 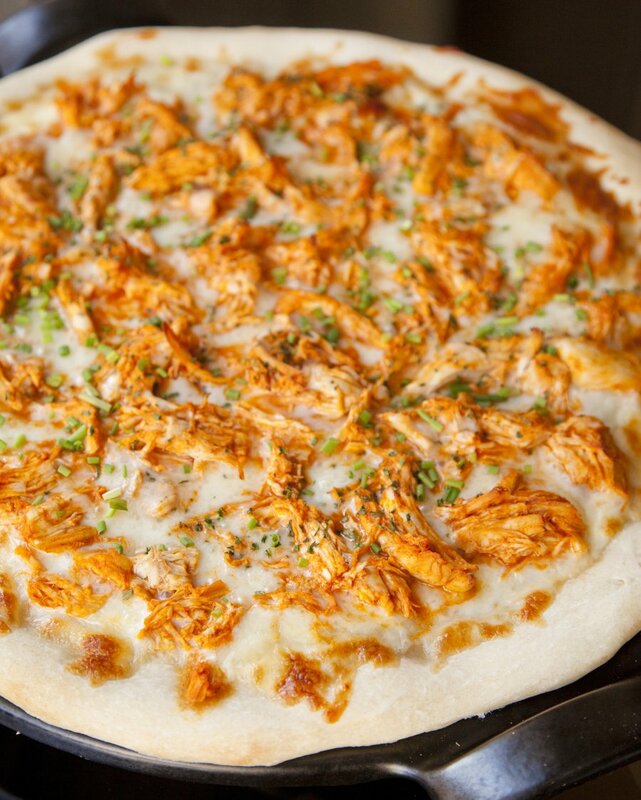 Top with the shredded chicken, and then top the chicken with a little bit more of the cheese. Carefully place the pizza on the pizza stone and cook for 15 minutes. Remove the pizza from the stone, add the chives on top, and slice with a pizza cutter. Serve hot.